FriendSheep: Bags on the way! I've just received (took out of my letterbox) a brand new Summer edition of Gudrun Sjoden's fashion. OMG!!! I love love love her designs and I would buy them in bulks (if only I could afford them!...). She uses only natural fabrics - silks, cottons, wools, bases her projects on folk designs - lots of prints, embroideries and colours! Go check her website, it's worth it!!! Although it was a bargain (it always is, ne?... ^^). 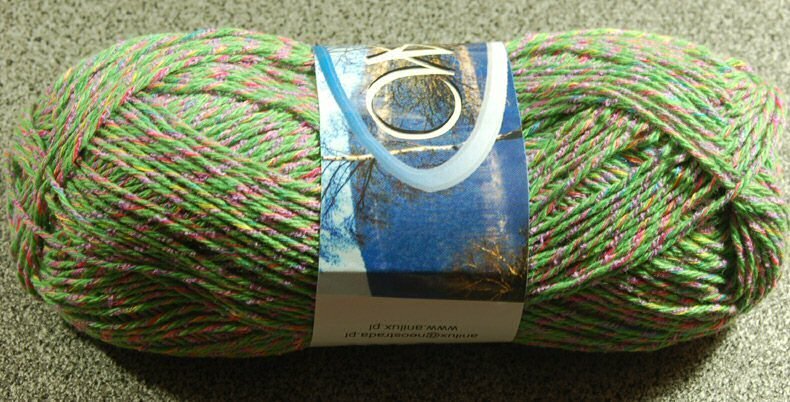 I bought on-line some 100% cotton of a limited edition - two colour mixes: different shades of pink/fuchsia/violet and green with pink and yellow rays. 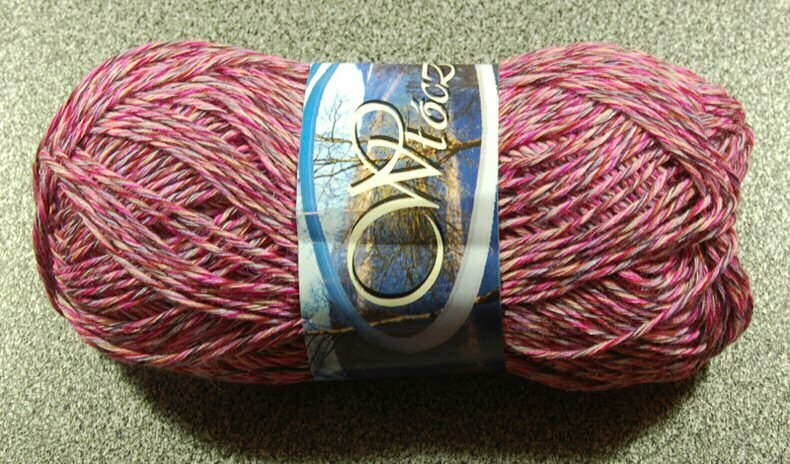 I want to knit Clapotis out of the first one, and a pair of socks of what's left, and socks out of the second one. It should arrive later this week. One procrastinated project down, millions still to go. I'm also sewing bags today. I dug out all the bags I cut out of different fabrics - they usually need lining and a zipper or a magnet. I also feel the urge to finish the skirts for my friend Sylwia - she asked me last Autumn to sew some skirts of the fabrics she gave me, and it's Springtime so I feel a bit ashamed and I'm going to finish them soon! One is light green, one is light pink, there is a dark blue one and the black one. Photos soon! 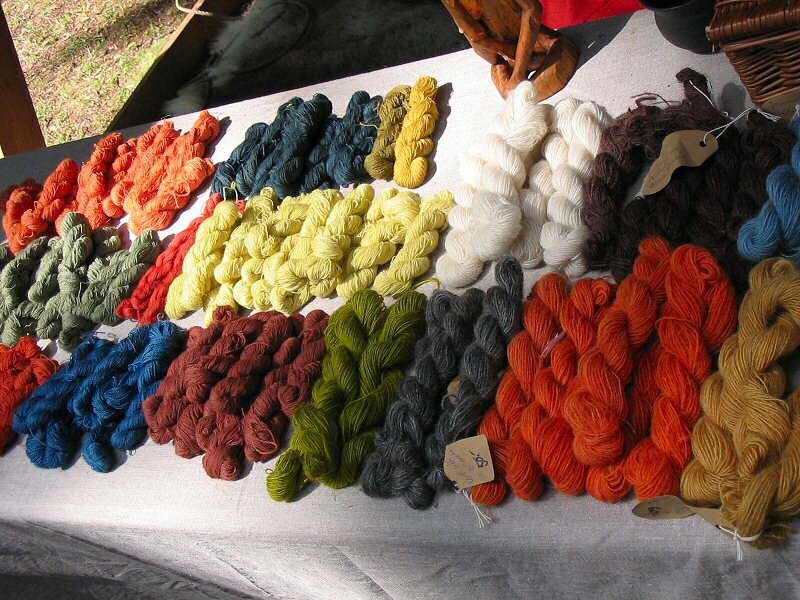 Two years ago we went to Borre in Norway for a Viking market and I took this photo of a beautiful 100% wool, hand spun and dyed, about 80 m/skein.